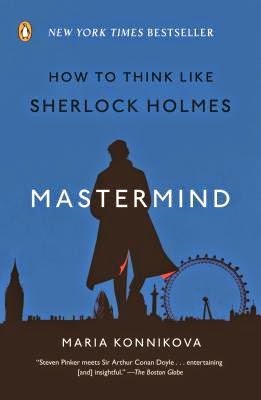 Mastermind is an entertaining and thought-provoking book that I really enjoyed reading. It is firmly based in psychology and the way the mind works, but also features many quotes and references to the books and the TV series. This means it should appeal to students of psychology, those looking to improve their memory and/or observation skills and those who are simply fans of the books or show alike. Konnikova's prose is very readable and she presents her ideas and explanations in a clear and concise manner so they could be understood by both expert and layman. All up, Mastermind is a delightful work and one I am sure I'll refer back to in the future as I try to improve my own mental capabilities.